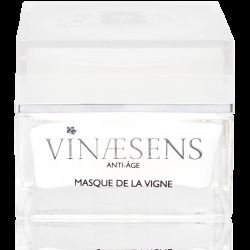 With Millésime en Blanc, we have created a luxury care, allying the anti-ageing expertise of Vinaesens and the focal point of research on the pigmentation of the skin. 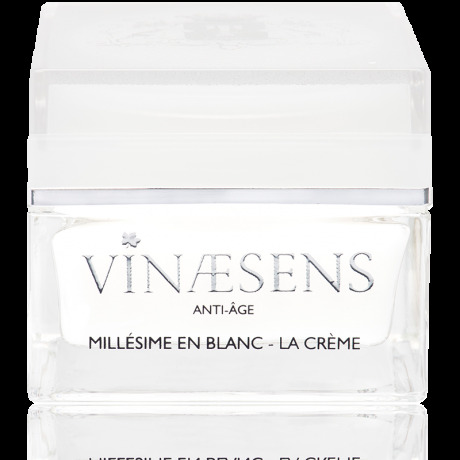 The Millésime en Blanc Cream is the prodigious result of this audacious association: a delicious texture and a brightening care that concentrates the anti-ageing effectiveness of the natural resveratrol, polyphenols and split hyaluronic acid, associated with extracts of white mulberry and bearberry - complexion brighteners. Enriched in solar filters, it anticipates the harmful action of UV rays and targets the principal skin signs of ageing as a true implementer of complexion care, for a younger and brighter face. The treatment should be applied through lightly massaging with the fingertips after applying the Elixir so as to greatly enhance its effectiveness. 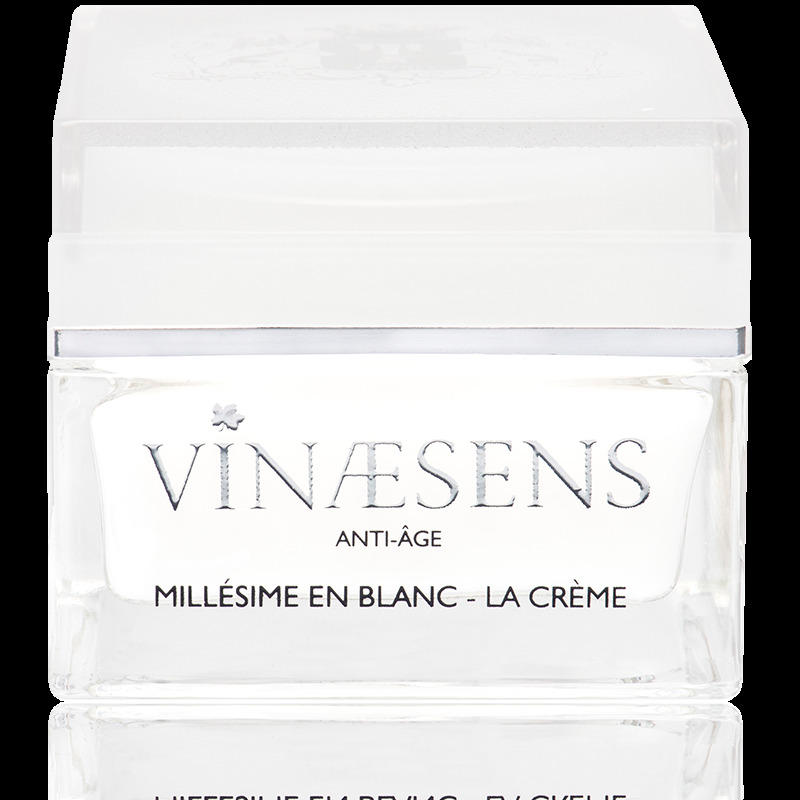 To strengthen, moisturize and give full radiance to the skin of your face and your neck with Millésime en Blanc, La Crème. Apply it simultaneously with both hands from the centre of the face outwards. To multiply the effects of your care and relax your facial features, repeat the following movements 3 times each, using two fingers: the middle and ring fingers. Make circular movements from the chin to the ear lobes, corners of the mouth to the ears and from the nose to the temples. Draw semicircles around your mouth starting from below the mouth. To smooth and restore the elasticity of your skin, press with the palms of your hands following the contours of the face, then from the nostrils to the temples, and finally from the centre of the forehead to the sides of the face. In order to redraw the contours of the face, apply pressure with your fists from the chin to the ears. Spread our unctuous cream on your neck while smoothing your skin from the chin to the bust.